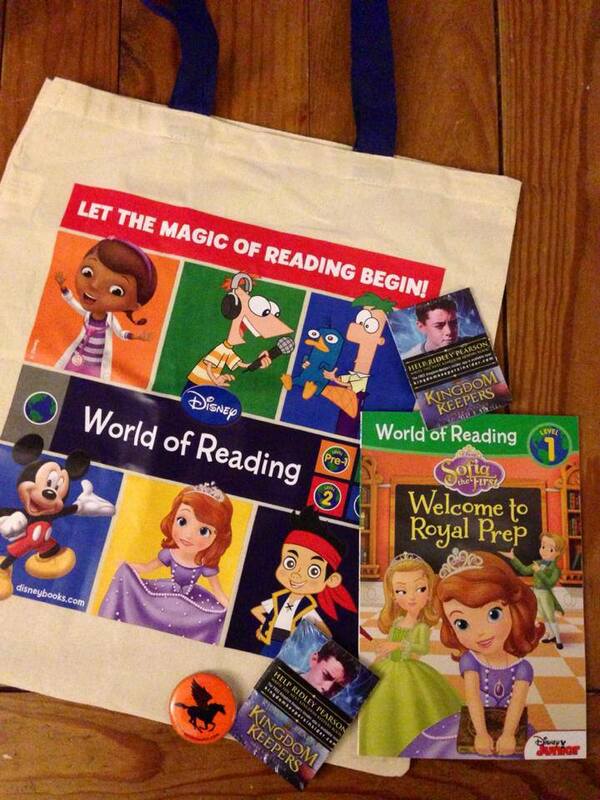 Picturing Disney: Book Expo America Disney Publishing Giveaway! In any case, the Disney Publishing booth didn't have any of their big books coming out to give away since Ridley Pearson was at the expo signing for a ticketed event but I did manage to nab this adorable Disney reading tote, 2 sets of Kingdom Keepers trading cards, a World of Reading book starring Sophia the First called "Welcome to Royal Prep" and a Heroes of Olympus pin (the series is published by Disney and written by Rick Riordan). This Disney Publishing prize pack is up for giveaway this week here on Picturing Disney with easy entries just for following and liking across the web!